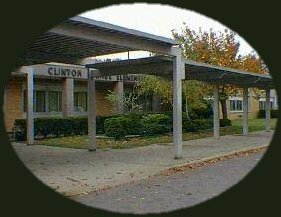 Clinton Avenue Elementary School is located in Port Jefferson Station, Long Island, New York. There are some lovely parks and beaches on Long Island. The Port Jefferson Ferry is not far from us. One can take the ferry to Bridgeport Connecticut. Children in grades K-5 attend our school. We have a very nice playground that our parents helped put together. Our students attend art, music, and physical education. 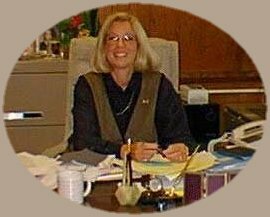 Mrs. Fortunoff is the principal of our school. She likes her job very much. granddaughter. In her free time she likes to read, travel, and do needle work. Here is our classroom. 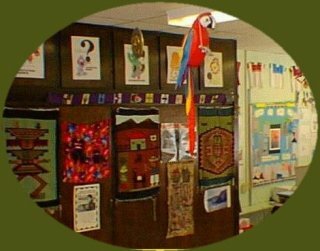 Mrs. Silverman does a lot of traveling to far away places and brings crafts back to make our room look very special. We also have 8 computers. Mr. Silverman built furniture for our computers. He made them out of wooden closet doors! Click here to learn more about the Clinton Avenue Elementary School faculty and staff.